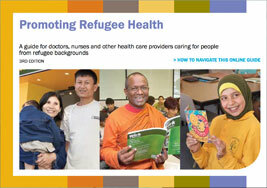 For many years STARTTS has been providing English classes for people from refugee and asylum seeker backgrounds. With the invaluable assistance of volunteers, lessons are provided for clients who would not otherwise be eligible for government provided classes. The class attendees are predominantly women, many of whom remain ineligible for government assisted classes due to illiteracy. For many it is their first time holding a pen. After a lifetime denied an opportunity to an education, the attendees embrace the chance to learn. For many it offers empowerment and a sense of belonging in a new land. Most of the class attendees are STARTTS clients, many of whom have been attending the classes many years. For these clients, the classes also offer a safe place to come together and socialise with others. Every month an outing is planned, and every quarter they have a celebration for a special cultural or religious occasion. Recognising that many of these women have a traumatic background, STARTTS also offers a psychoeducational activity to the group every term, run by a counsellor. It may be yoga, meditation, or counselling. The classes are still run by volunteers, all of whom are qualified teachers. They are mostly retired women who have been part of the project from the beginning. For most of these women, English classes are an opportunity to give back to the community in some way. Without the tireless dedication of these volunteers the English classes would not be possible. STARTTS and the clients are very grateful and hope for many years learning together! The classes were started with the Introduction of Temporary Protection Visas, (TPVs) in 1999. TPV holders were not eligible for free English classes provided by the government, and the STARTTS volunteer coordinator, recognising a need, organised for volunteers to hold English classes. Eventually TPV holders were granted permanent residency and so were eligible for government supported classes. 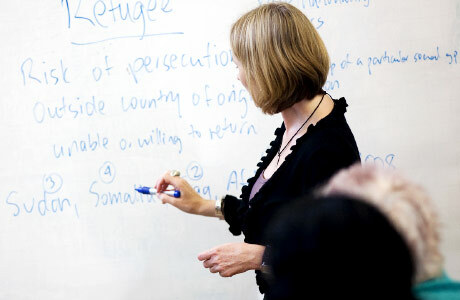 However, the STARTTS classes continued, and for many attendees remain a vital and relevant aid to their resettlement in Australia.